new boots, originally uploaded by calamity kim. 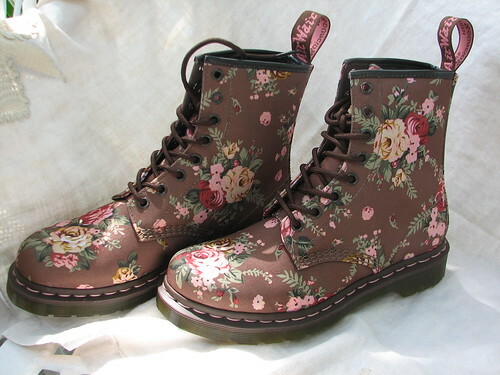 made by Dr Marten for the Victorian loving girls like me! arrived today- so happy I want to hike my skirts and dance a jig! They came with rose colored satin ribbon laces too! I was searching for old Granny from the Beverly Hillbilly's type boots (like Magnolia Pearl sports) and could only find these. So happy to have them to call my own. Now to sew a new petticoat and bloomers to wear with them! Hope your day is as happy as mine!